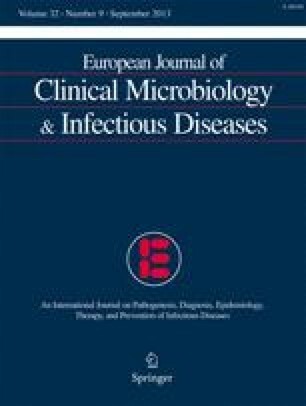 To better understand whether potent antiretroviral therapies can modify the natural history of HIV-1-associated microsporidiosis and cryptosporidiosis, the response to antimicrobial treatment of these opportunistic infections was evaluated in patients with or without antiretroviral treatment. Fifty patients with diarrhoea, all positive for Cryptosporidium parvum or Enterocytozoon bieneusi, were included in the study. Retrospective data were collected concerning demographics, clinical and microbiological characteristics of the parasitic infection, antiretroviral therapy and prophylaxis against opportunistic infections. Faecal samples were prepared using the Richie formalin-ethyl acetate method and stained using the modified Ziehl-Neelsen method for detection of Cryptosporidium parvum and Isospora belli, the modified trichrome and calcofluor white technique for detection of Enterocytozoon spp., and iodine for detection of ova, cysts or vegetative forms. Diarrhoea was defined as an abnormal increase in stool liquidity, an abnormal increase in stool frequency and a daily stool weight of more than 250 g for a period of at least 4 days. Patients treated with double antiretroviral therapy or protease inhibitors demonstrated an excellent response and a sustained therapeutic effect after follow-up (range, 5–36 months). The relapse of cryptosporidiosis in two patients who discontinued antiretroviral therapy suggests that the infection might remain in a latent stage. The resolution of the diarrhoea seems to be related to an increased CD4+ cell count rather than to the viral load. In conclusion, these data strongly support the hypothesis that combination antiretroviral therapy is able to greatly modify the course of cryptosporidiosis and microsporidiosis in patients infected with HIV-1.